Save time, make the best product decisions, and demonstrate your advantage over banks, with PriceWise™. Designed by and for credit unions, this pricing tool contains smart business tools that empower you to price products with the precision needed to compete with larger institutions. The Membership Advantage module quantifies the benefits you provide in a concise way that resonates with your members and potential members. Credit Unions have a unique value proposition. You offer lower rates on loans, higher rates on deposit products, and more personalized service when compared to other financial institutions. You know it and the banks know it. PriceWise™ empowers credit unions to make the best pricing and product feature decisions using our powerful set of smart business tools. 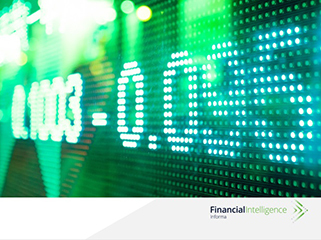 PriceWise™ gives you access to Informa’s unrivaled competitive product intelligence. This detailed information allows for accurate comparisons, while precision product comparisons allow for more profitable pricing decisions. View PriceWise™ for community banks. Demonstrate your institution’s benefit over banks! In addition to pricing and product smart tools, PriceWise’s Membership Advantage module makes it simple to demonstrate the value you bring to your members when compared to other financial institutions. Membership Advantage makes it easy to calculate, prove, and promote the real economic value you deliver. A “financial footprint” is created for each household. A footprint represents the financial services a household purchases from you - from deposits to loans. PriceWise Membership Advantage quickly calculates the economic benefit your institution delivers to your members when compared to banks or other groups. Once you’ve quantified your membership advantage, promote your superiority using your website, mass media, community outreach, social media, and print/digital advertising. Contact us for a live demo of PriceWise™ and the Membership Advantage module. See this powerful pricing tool in action and begin proving the economic value you provide your membership immediately! Information for quick development of risk-based rate sheets.